I found myself perusing macbook decals (don’t ask me why, I don’t have one), and was kind of amazed at the ability people have to make these things. Also, how many different subjects there are. From Doctor Who to comic book heros, to famous quotes, to retro images and Mario…if you want it, it’s probably out there. I made a list of the top 10 macbook decals that have a book-related image. Enjoy! There’s a lot more out there, so if you find a YA or children’s book related decal, let me know! And if you haven’t, make sure you follow @CKReaddicted on Twitter. Here is a list of what I’m reading this month. A bit long, for such a short month, but I’m already flying through them. Look for reviews soon. But we’ve been a tad busy lately working on a new look. You might have noticed the blog change. We are looking forward to releasing something much bigger soon! Look for a preview soon! In the meantime, if you’ve read any of these, leave a comment below! Amy quickly realizes that her awakening was no mere computer malfunction. Someone-one of the few thousand inhabitants of the spaceship-tried to kill her. And if Amy doesn’t do something soon, her parents will be next. I thought this book was intriguing. 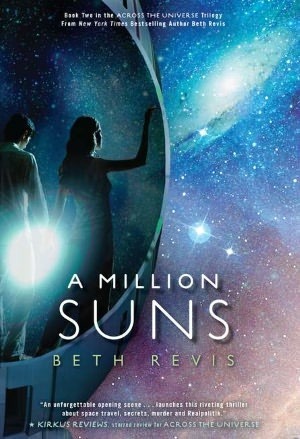 The complex world Beth Revis creates is so futuristic, and yet it contrasts with the agrarian lifestyle the people have to have to keep their culture as well as survive on their mammoth ship floating in space. Amy’s story is unique. She’s a great female character, possibly a bit mainstream and not really unique in many ways, but that’s not a bad thing. Most people are mostly normal. Ya know? Ender’s character goes through a great amount of transformation as he learns more and more truth. This book, as with the whole trilogy, is centered around lies and the problems keeping deep secrets can create. While at first I thought I wasn’t completely thrilled with this book, I couldn’t put it down. I don’t think I loved Amy as much as some other characters in other books I have read, but she is a strong female lead, and she thinks for herself and has a strong desire to survive and uncover the truth. I love the development of the relationship between Amy and Elder, and how they aren’t always with each other. 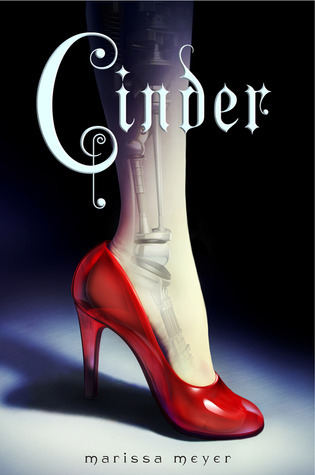 The other characters in the book were very eccentric and gave the story great depth. My biggest issue is the POV. The author writes in first person, and each chapter is either Amy or Elder. It switches like clockwork, Amy, Elder, Amy, Elder…..but sometimes I found myself wondering which head I was in, and I would have to check or look for clues. Overall, it wasn’t a big problem, just an annoyance. There are some parts that are stark, raw, and a little shocking. Things I wasn’t expecting and made me react. Things like that may not be enjoyable, but getting a reaction like that (and not just for fun, but for a reason) is a sign that the author isn’t afraid of censoring herself, but sees the world she has created as though it is real, and she is telling it like it is. Probably not appropriate for under 13, at least. But it’s not too bad…don’t let that be the only thing that stops you from reading it. If you are wondering about this series for your teens, just read it first. Across the Universe is a great read and I definitely want this beautiful hardcover on my shelf! I love love love this cover. This might be one of my top 5 favorite covers of all time. Simply gorgeous. Stars, colors, profiles, the haunting words that leave you wondering what it could mean…so so good. I would rate this cover an elusive 6 on our 5 star scale….yeah, I love it that much! Here’s a link to the book trailer by PenguinBooks. It’s nothing too exciting, but the excerpt from the book they chose as the narration is haunting. One of the first reasons I couldn’t put this book down was this part. Well-written, raw, and emotional, and interesting…raised questions that no one had answers too. Anyway, check it out if you’d like, there are no spoilers and it well-made and visually very nice. There are no more police—instead, there are soldiers. There are no more fines for bad behavior—instead, there are arrests, trials, and maybe worse. People who get arrested usually don’t come back. 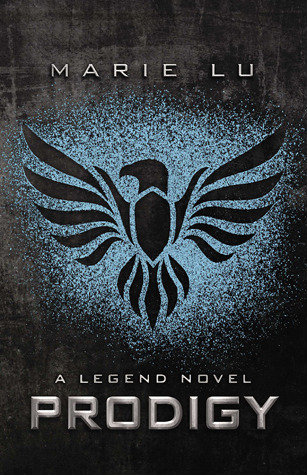 This is yet another dystopian fiction young adult book, destined to be a series. Probably a trilogy. But you know what? I am TOTALLY okay with that. The world the author creates is not the same, despite definitely following the rules for a dystopian society. 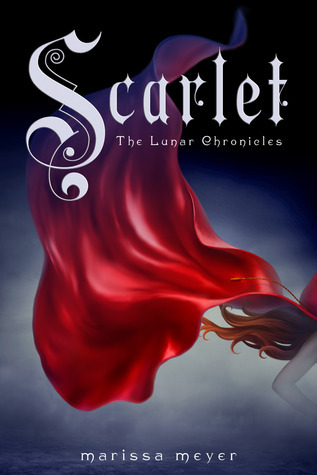 Ember and Chase are the two main characters. The story is told from Ember’s point of view. The story gets going right away, without giving the reader a chance to get to know the characters. Because of this, I didn’t feel like I understood what was going on with Chase in this opening scene, and why it was important. There were other characters that seemed like they might come up again, but too many to keep track of because I still didn’t know my main characters yet. However, I loved how the author unfolded the love story between the two, going between their past and the present. She started the series right in the middle of their story. The layout of the book is different, both in how and when action occurs, and how often. What happens is a surprise and you end up having no idea what will happen next because of this. Also, the author jumps right in to the story, as though she is skipping a lot of boring stuff that she can detail later throughout the book. I liked that a lot. 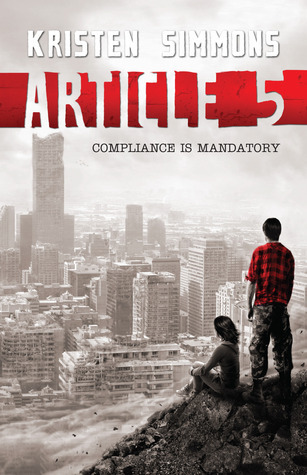 It takes place all over the eastern part of a future U.S. right after a World War III. Mostly I really liked this book. But I never became emotionally connected with it, unlike Connie (read her review here), and so for me the book was just okay. I’m not sure how much I love the characters or what happens. It all just seemed to go by in a blur. It is a quick paced book, which is really good. The setting changed so much that the reader doesn’t really get that stability. Which is ok, because they characters are traveling. While the backstory is wonderful and the characters did seem real to me, I still felt like they could have used more work and that the dialogue could have drawn me in better. All in all, this is a great read and I definitely recommend it. Especially for lovers of: The Matched Trilogy; The Hunger Games Trilogy; and Delirium and Pandemonium. I really like this cover. Totally head over heals in like with it. It’s not pretty, but it’s not supposed to be. So it works. And HELLO FLANNEL! I love flannel. That’s seriously the first thing that drew me to this book. And at least 72% of why I read it. The other 28% was Connie not leaving me alone until I read it because she loved it oh so much. 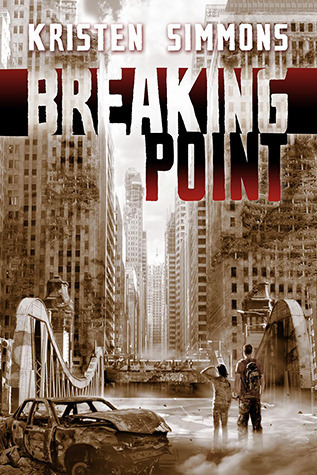 Book #2, Breaking Point, will be released on Feb. 2, 2013. Check out the synopsis on Goodreads here, and make sure you check out Connie’s review which links to the Moral Statutes from the book. And of course, here’s a link to a book trailer. Gotta love those! So it wasn’t exactly the same as Hunger Games or Delirium…etc. type of books, but there are a lot of similarities. The world society is utopian, although somehow it reads very similar to dystopian books. There is a parallel there. This futuristic utopian society, in which everyone’s basic needs are cared for, is also one in which your basic rights are taken away. Cassia is a teenage girl at the brink of adulthood and she has to make a choice between doing what is expected and breaking the cycle. This is the same as a lot of books. And unfortunately, there wasn’t a lot distinguishing it…not a lot in the book making it super unique. Therefore, the book doesn’t stand out. I love Ally Condie’s writing style. It’s lyrical, evenly paced, and enjoyable. 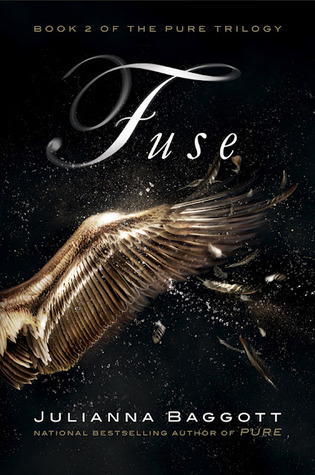 The book moved at a good pace and I loved watching Ky and Cassia fall for each other in their stolen moments. Xander was a great constant character for book one. He was the one Cassia could always fall back on, her childhood friend. And it seems that he is an open book and not hiding a thing. His character is easy to understand, and he doesn’t seem to question anything. On the other hand, Ky was a very interesting character for me, and one of the main reasons I wanted to keep reading the series was to find out more about him. I enjoyed Cassia’s personality, I never found her annoying. 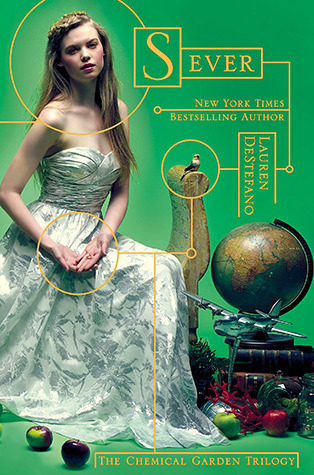 She goes through the same-old growth from point A to point B that many main characters in YA fiction do, but I liked reading it and watching it unfold. It’s not like this book is something grand, or something mind bending. It won’t change society, or solve world peace. It is meant for entertainment, and I was thoroughly entertained by it. I definitely recommend this book for people who love the writing style of Maggie Stiefvater. I read a lot of bad reviews of this book, and I would just tell you that if this book sounds interesting to you, read it. The pace isn’t furious, but it isn’t slow. It is well-written, and the world is well-developed. I gave it 4 stars, but I’m telling you it did not disappoint me at all and I definitely want to own this series. I’d be lying if the cover isn’t what made me come back to this book time and time again. The release of Matched coincided with me purchasing a Nook, and the ebook was a couple bucks more than all the other books on my to-read list, so I kept putting it off. The ratings were also just a tad lower. But this cover is pretty, and symbolic, and clean and simple. Finally, I gave the book a try, and I’m very glad I did. 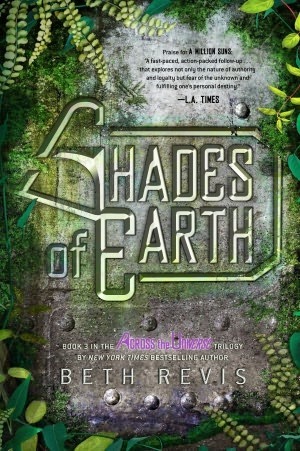 This book was a great read, a good second book in the series. It left me wanting to read more, and glad I could dive right into the third. It was fast paced and there was a lot to keep me interested and I had a hard time putting it down. But at some points throughout the book, I was disappointed with the writers’ ability to explain. My biggest complaint is that yet again, as with the first book Beautiful Creatures, I found myself making a lot of assumptions. I was also realizing that some of the things I thought were described one way in Beautiful Creatures were described differently in Beautiful Darkness. This may have been my perception, but it is the author’s job to give the reader an experience. If I have to stop and question anything, I blame the author. Usually, it’s not my fault this happens. What is amazing about these books is the amount of detail for each character, and for the setting. The people come alive, and the town of Gatlin is like another character. It is clear that the authors have experienced the South and have done their research. The mix of a little history in with it makes me very happy as well. I loved the introduction of the new characters and the further development of Amma and Macon and Abraham. Spending so much time in the Tunnels didn’t take away from the richness of the story. In fact, I loved the Tunnels in the first book of this series and I really wanted to know more. Many questions were answered as well, while giving me more information in the story, they also raised more questions. The story is building, not repeating. The darkness in this series doesn’t infiltrate Ethan, which is why I love him as the main character. I found myself so frustrated with Lena, and yet sympathetic at the same time. And the ending made me salivate for the next book. Again I loved the casual first-person point of view. Instead of just hearing Ethan’s thoughts, I felt like we were conversing, and he was telling me this compelling story. I am still not sure if these are buy-worthy…meaning hard copy purchase. There’s something wonderful about having your favorite books all sitting together on a bookshelf. So far, I have the ebooks. They make it easier for me to read wherever I find myself, but at the same time, I am so ready to read a real book again! Again the cover is lame. I do love the font, and the purpose of the cover is achieved. Readable author names, the title stands out, and the covers all tie together while still having an individual message. This one shows stairs surrounded in darkness, and most of the book takes place in the Tunnels. Still, there’s something so blah about the picture behind the text that makes me want to puke. I do like the different color choices for the text…although……just wait for my review of Beautiful Chaos…..
Here’s a link to the two trailers out for the movie that comes out early 2013. When I rewatch them, I get all excited and goosebumpy. Hooray! Wow. I’m not going to apologize straight up for deserting the blog for a few months. Life happens. Connie was pretty clear that her accelerated nursing school program is so intense that she wouldn’t be around until her next break. She has no time to read. I, on the other hand, do have time to read. So what on earth have I been doing? Let me tell you a little about myself. I tend to pour myself into things. I spend hours on one thing a time. What this means is when I have photography sessions, I ignore everything else until that session is done. Except my kids. Probably. Sometimes. This month I have been participating in NaNoWriMo. Not only did I write a novel (while I’m still working on the last few thousand words to hit 50,000…..I had to start on the next in the series because I finished the first draft of book one), I wrote another half of a novel at the same time, and mapped out another series. When my brain turns on, it can’t be stopped. I have to wring out all the creative juices possible to get everything I can because I know that after an insane amount of awesome pouring out, I always have a dry spell. My dry spell actually started last week, right around Thanksgiving, and coincided with a lot of sickness and my little brother getting hospitalized after Thanksgiving dinner when his bowels shut down. No lie. Can’t make this stuff up. In October, I was in the ultimate dry spell. Nothing happened for me. I couldn’t bring myself to get on here and write crappy reviews for all of the great books I’ve been reading. I can’t stand to do half of anything. But now I feel like I owe it to our followers to put stuff out there. So I am committing myself to doing that. For you guys. Aw.